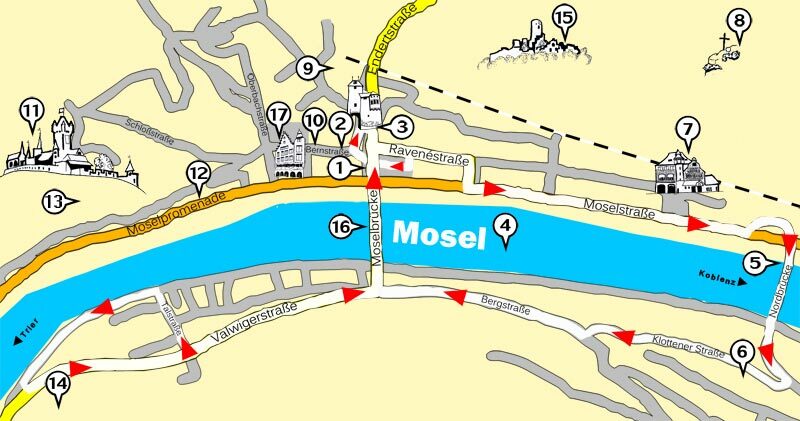 We start at the old Moselle bridge and drive through part of the old town. We reach the Condd ditrict, going over the new bridge, where you can enjoy a magnificent view of Cochem and the castle. The trip goes along the Moselle vineyards, parallel to the castle, and back over the old bridge to the stand. The tour takes about 25. minutes. 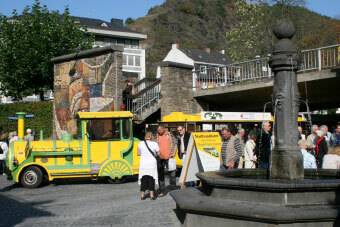 High season (Easter – November): Daily tours between 10.00 – 17.00. Departure from the old Moselle bridge (Carl-Fritz Nicolay Platz). Individual tickets are available at the departure point. Please notice, that you have to book your group tour in advance.